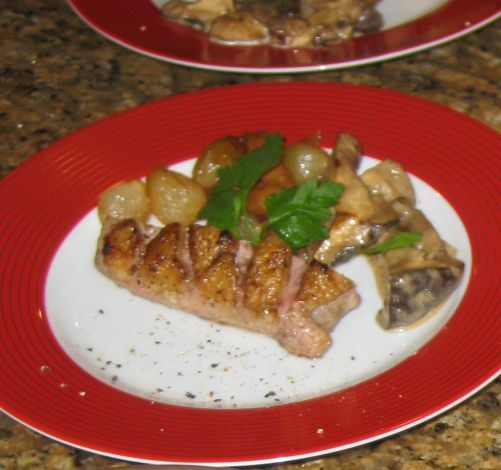 I don't known but there is something about duck breast that I like and if cooked properly the meat is tender, juicy, deliciously flavorful with minimal preparation. 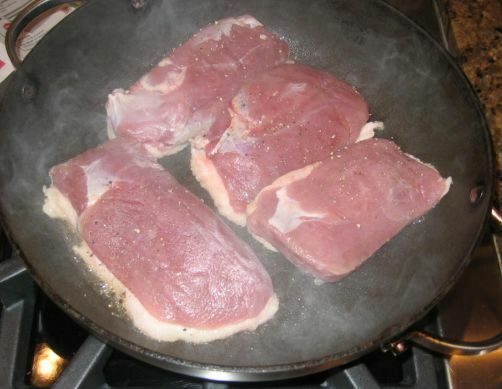 When I have a large crowd over it is best to just just pan-seared to breast because all it takes is about 10 minutes to cook and another 5/8 minutes to rest and it is ready to be served. 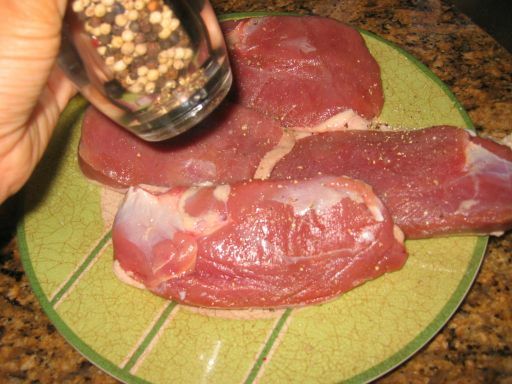 I used to buy the duck breasts online because they are not available in a regular supermarket but lately I found they at Ranch 99 in the frozen section. They sell them in package of 4 breasts. It does not say what kind of duck the breasts came from but I am sure it is from Peking duck which is very common in Chinese cooking. 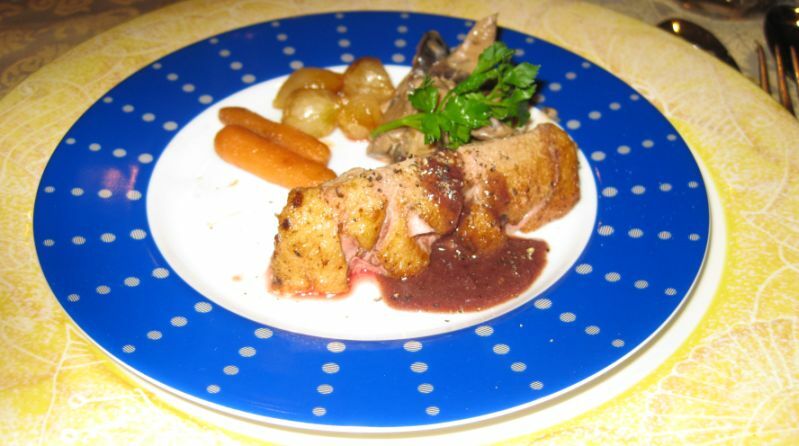 I paired the duck breast with a bordelaise sauce and served it with caramelized onions, caramelized baby carrots and sautéed shitake and button mushrooms in a light cream sauce. Closer look at the dish! I am very happy how the dish turned out to be. The duck was perfectly cooked (still somewhat pink in the inside). 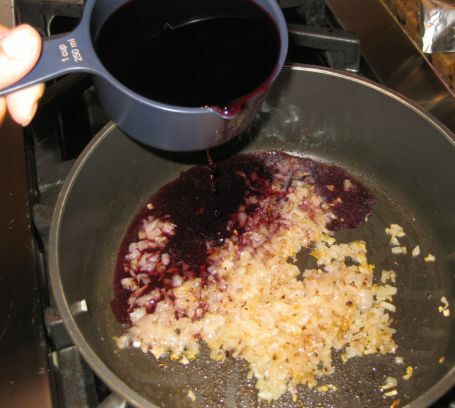 The Bordelaise sauce is a basic French sauce named after the Bordeaux, a region of France famous for its wine. 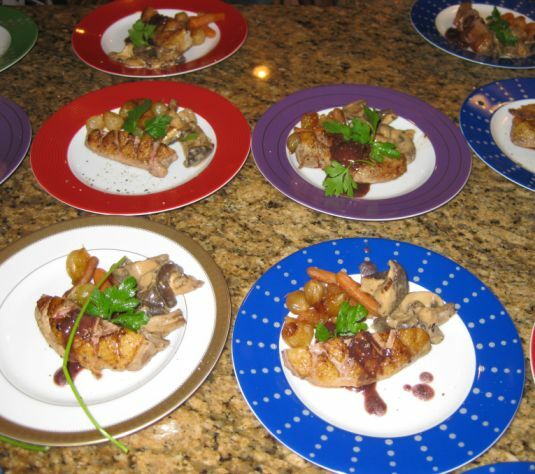 The sauce is made with dry red wine, shallots, and a rich brown sauce called demi-glace. 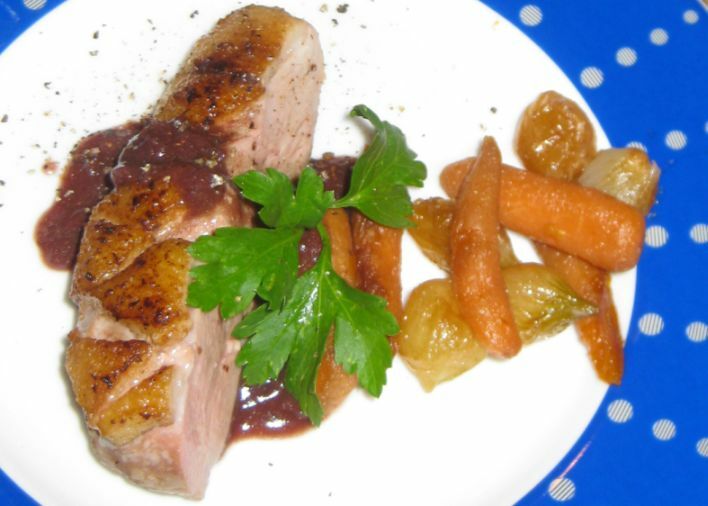 Traditionally, bordelaise sauce is served with grilled beef or steak, though can also be served with other meats such as duck or pork. 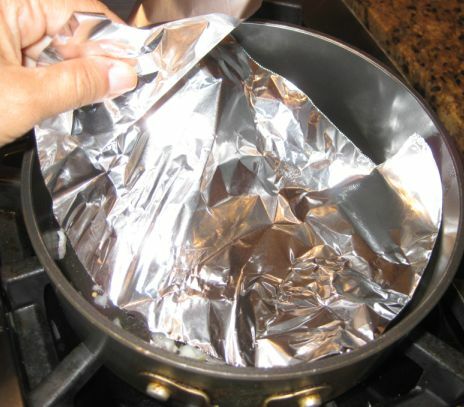 The heat is lower down to the lowest point and a piece of aluminum is placed on top of the pan. 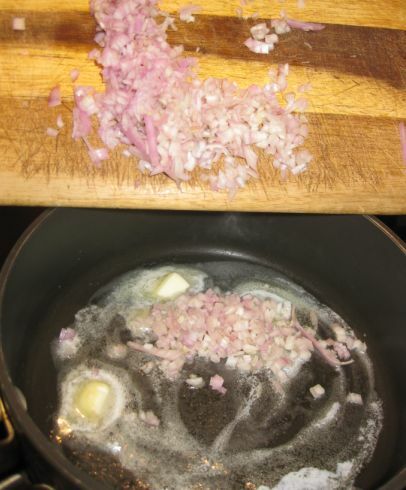 The shallots are cooked slowly for about 10 minutes until really soft but not browned. 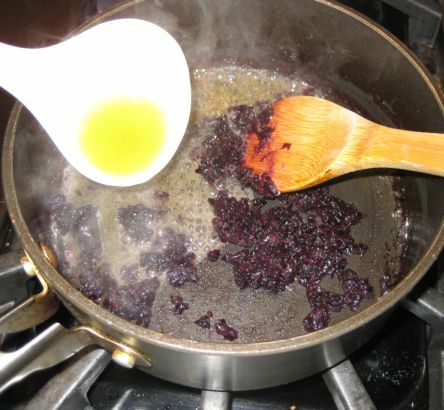 After 10 minutes the aluminum foils is removed..
Red wine is added to the pan. 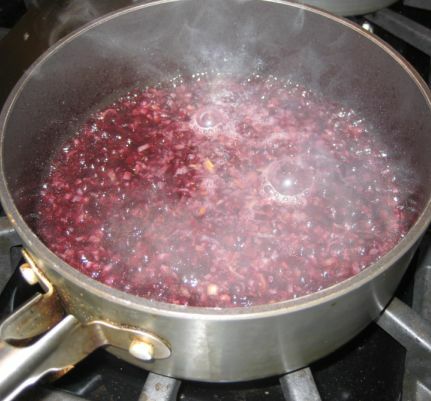 The wine is cooked off in a slow simmer (15/20 minutes) until all the wine is evaporated. 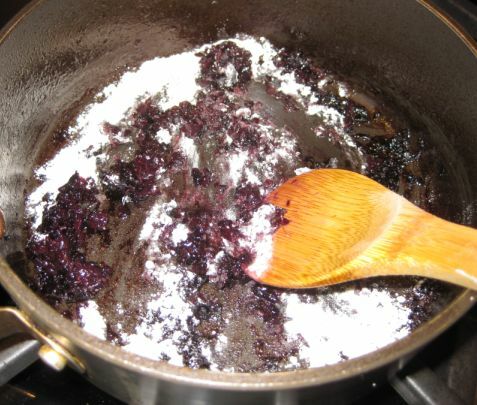 Once the wine is evaporated, flour is added and cooked for about a minute or so..
For the broth I use demi-glace (store bought) mixed with veal broth. Here I am adding the broth to the pan. 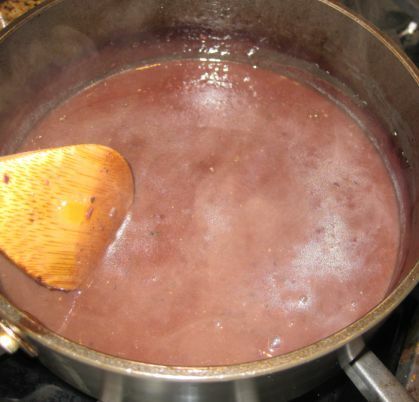 The sauce is brought to a boil and then removed from the heat. 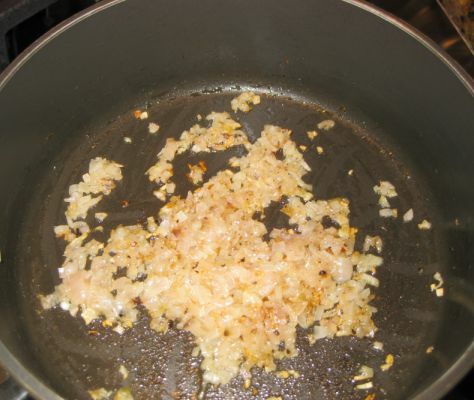 Butter is added and a splash of cognac is poured into the sauce. The sauce can be kept in the fridge for a few days. When ready to serve the sauce is re-heat up and ready to be served. Preparing the duck by scoring the skin. 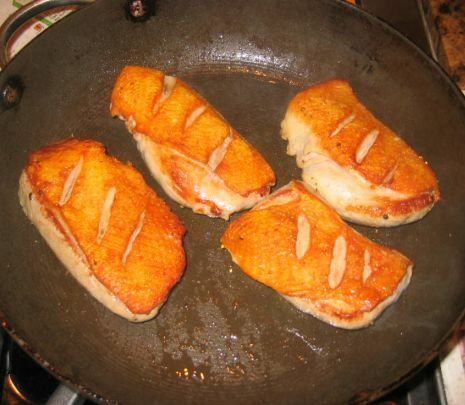 The duck breast is put into a hot pan, skin down first and seared until golden brown. Because I am serving a large crowd tonight I have to pre pan seared the breast first and then I finished the cooking by putting the breasts in the oven for about 10 minutes + another 5 minutes for resting. 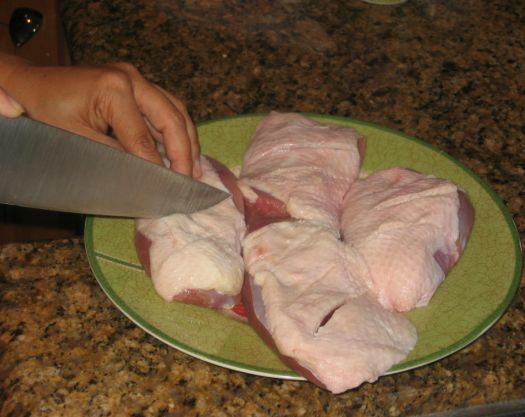 After resting for more than 5 minutes, the duck breasts are now ready to be served. I decided to served only half a breast per person because I would like for our guests have room for other dishes on the menu.